Gravida Nurse: Let's Play Prenatal Tamagotchi! Gravida Nurse: Let’s Play Prenatal Tamagotchi! The tamagotchi generation is about to have kids. To prepare them, there’s the Gravida Nurse Prenatal Education Device! The generation that grew up with tamagotchis, video games, and the internet isn’t about to research kids and babies in books or – God forbid – the internet! They’re going to be turning to the Gravida, of course! The Gravida Nurse Prenatal Education Device features a touchscreen display that shows educational articles that are perfect for tweeting moms. They include the dos and don’ts of pregnancy, as well as care for the newborn baby. 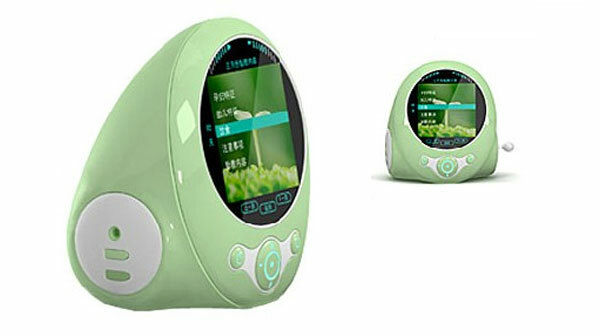 The device also has images as well as voice recordings to help you absorb all of the great knowledge it contains! It’s got a memory card slot, so I’m betting that you’ll be able to find out how to take care of your kid throughout his or her whole life, thanks to more lessons! It’s available for $22.69 (USD) over at UXSight.